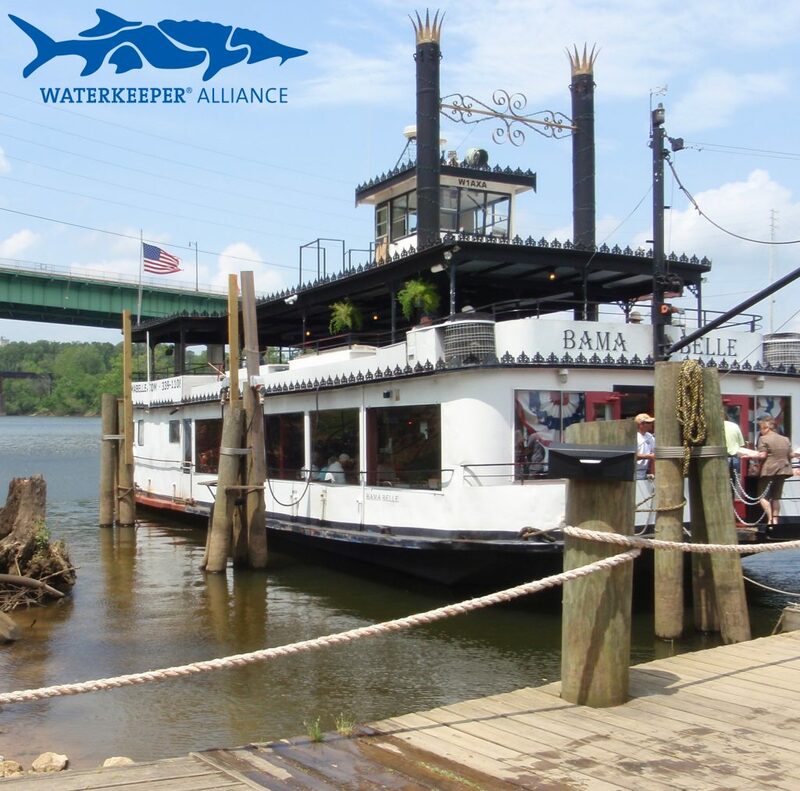 Tuscaloosa – On Thursday, June 21 from 6-9 P.M., Black Warrior Riverkeeper and Hurricane Creekkeeper will share a fundraiser on the Black Warrior River. The sunset cruise will feature live music, dinner and a local beer sampling on the Bama Belle Riverboat, which docks by the Tuscaloosa Riverwalk at 1 Greensboro Ave. The public event celebrates the 15th Anniversary of Hurricane Creekkeeper, the Friends of Hurricane Creek’s environmental enforcement program led by John Wathen. Hurricane Creek is a major tributary of the Black Warrior River in Tuscaloosa County. Proceeds will support both Waterkeeper Alliance organizations’ work to promote swimmable, fishable, and drinkable water. Admission includes dinner (with meat, seafood, and vegetarian options) catered by The Levee, and a complimentary sampling of local beers by Druid City Brewing. A talented band from Tuscaloosa called the NoJoes will perform throughout the cruise. The NoJoes consists of five friends embodying the best parts of blues and southern rock music, with a new twist. Boarding begins at 6 P.M. The boat will leave at 6:30 P.M. and will return at 9 P.M. The event is for ages 21 and up. Guests under 21 may attend with a parent or guardian but will need a ticket as space is limited. Tickets are on sale for $40 per person at bamabelle2018.eventbrite.com. “It has been our honor and pleasure to be associated with such a powerful family of water advocates as Waterkeeper Alliance,” added John Wathen, Hurricane Creekkeeper. For a high-resolution photo of the Bama Belle by Nelson Brooke, Black Warrior Riverkeeper, click here. Black Warrior Riverkeeper’s mission is to protect and restore the Black Warrior River and its tributaries. The citizen-based nonprofit organization promotes clean water for improved public health, recreation and wildlife habitat throughout the Black Warrior River watershed. The Friends of Hurricane Creek was founded to preserve, restore and protect the Hurricane Creek watershed. This year they celebrate the 15th anniversary of their Hurricane Creekkeeper program by collaborating with the group who inspired them to become Waterkeeper Alliance members, Black Warrior Riverkeeper. Bama Belle Paddlewheel Riverboat. Photo by Nelson Brooke, Black Warrior Riverkeeper.